FONTANA, CA – Live Oak Elementary unveiled campus beautification projects provided by United Way and local volunteers on Oct. 29, delighting parents, students and staff with eight new murals depicting technology, STEAM, story book characters and diversity. 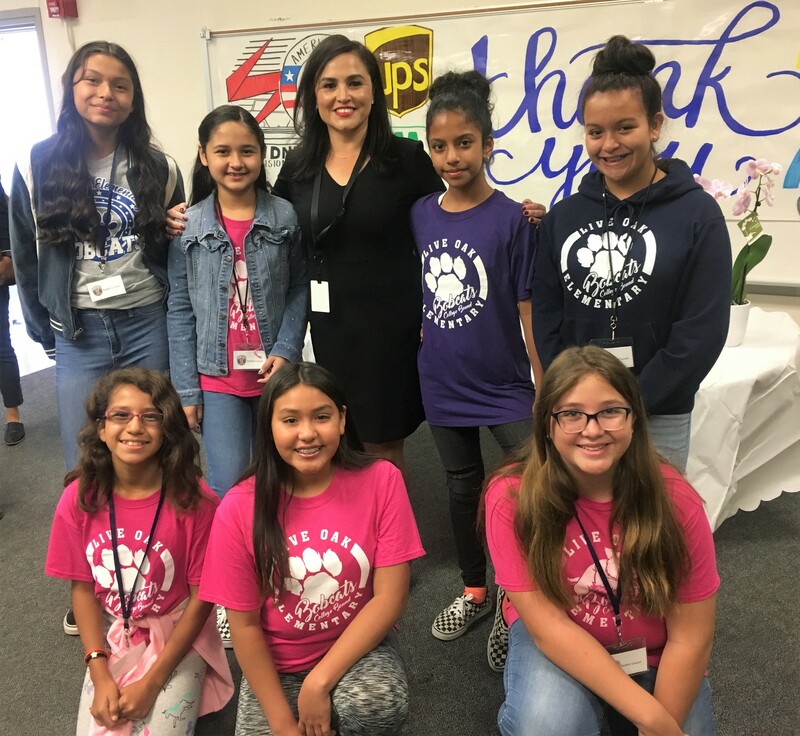 Over the past five years, United Way has partnered with local businesses to provide campus makeovers to a Fontana Unified school as part of its Make a Difference Day. Volunteers from UPS, Geodis, Safelite, QTC Management, Seidner’s Collision Center, Nexgrill, Henkels & McCoy and Cal State San Bernardino descended upon Live Oak on Oct. 27 to freshen up the campus. “The idea behind what we do is that we want the kids to see these murals that depict positive representation, diversity, inclusion and we want the kids to be able to see themselves going to college, getting their dream job, and we believe that the positive message of these murals directly and positively impacts attendance and participation,” United Way President and CEO Dr. Felita Jones said. The kindergarten play area features a mural of the “The Very Hungry Caterpillar,” as well as rainbow hopscotch and other painted playground games. Other outdoor murals feature a female president, college students, STEAM (science, technology, engineering, arts and math), and the Live Oak Elementary motto: Be safe, Be respectful, Be responsible and Persevere. Inside, there are four additional murals: school site words, storybook characters like Harry Potter, a diverse group of students holding hands beneath the phrase, “Where there is diversity there is beauty and there is strength,” and technology icons like a mouse and cursor. Live Oak Principal Patricia Corral began the unveiling tour by thanking United Way and the sponsors who helped create the murals and the painted playgrounds. “When I look at the work you have all contributed to, I see that you gave my students laughter, hope and possibility,” Corral said. FUSD_LIVEOAK_MAKEOVER1: Live Oak Principal Patricia Corral and student council members led campus tours on Oct. 29 to highlight new murals and painted playground art completed by United Way. 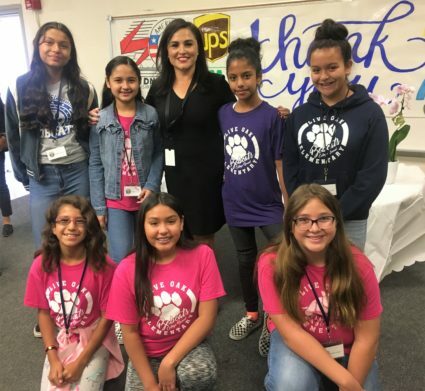 Live Oak Principal Patricia Corral and student council members led campus tours on Oct. 29 to highlight new murals and painted playground art completed by United Way.